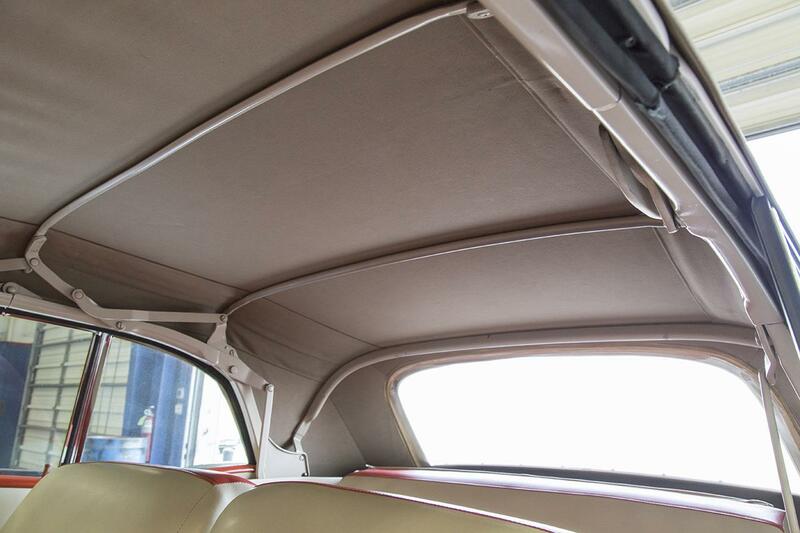 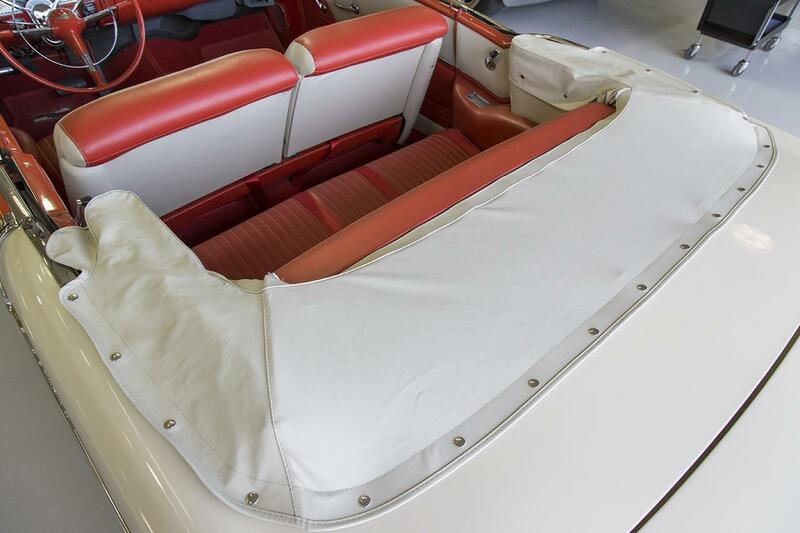 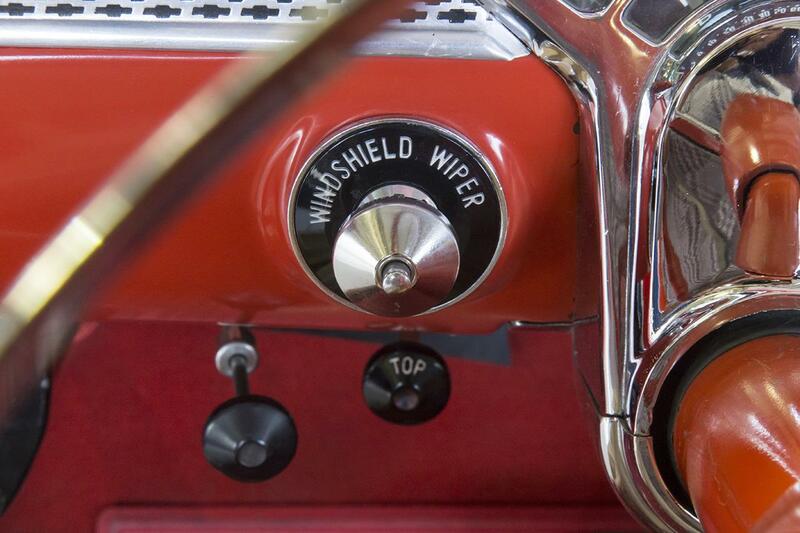 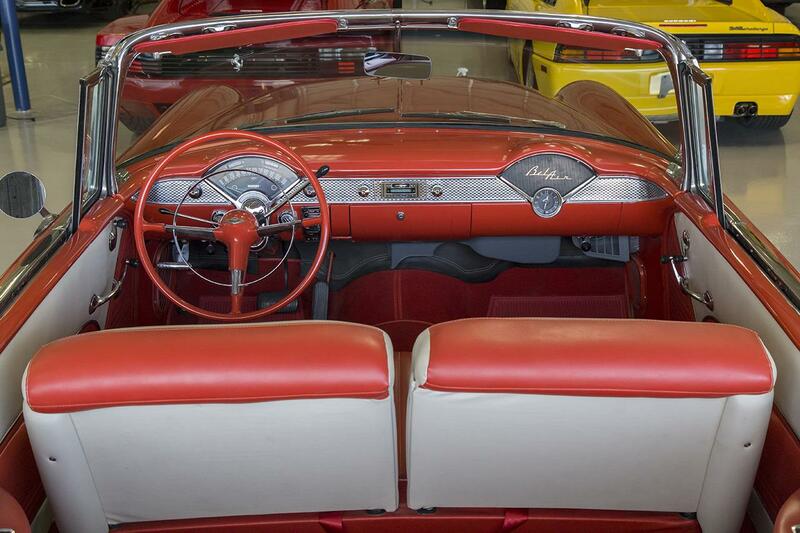 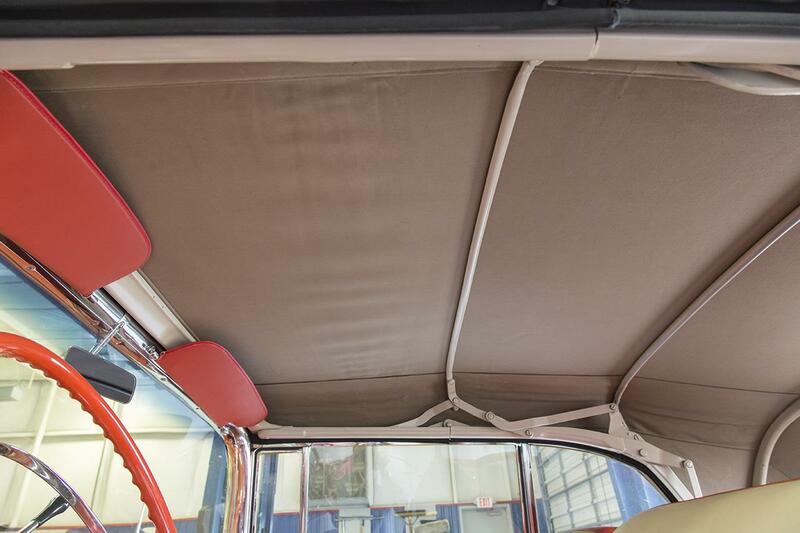 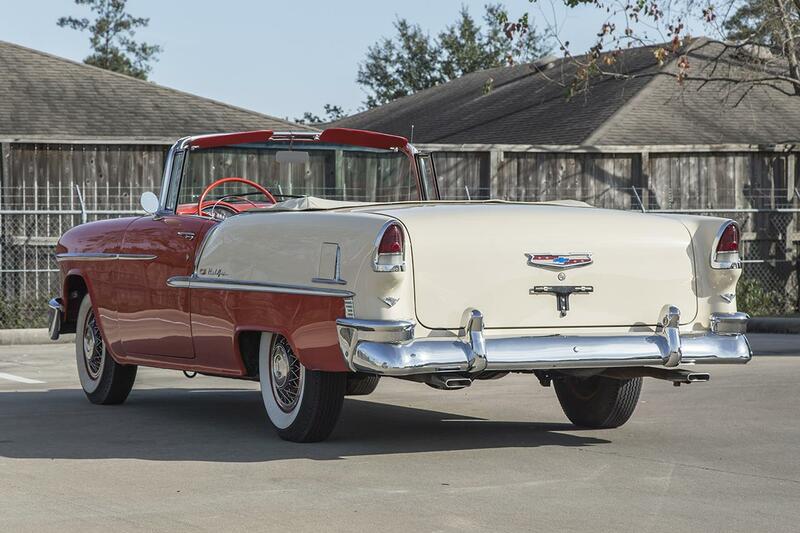 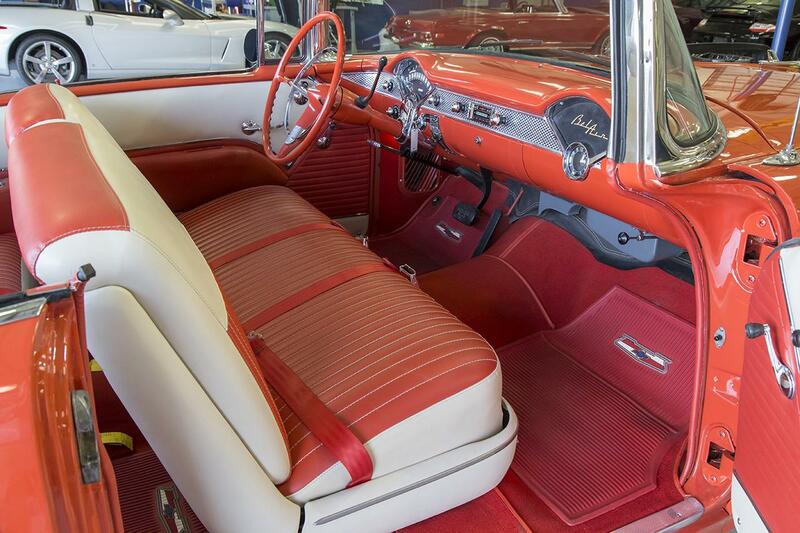 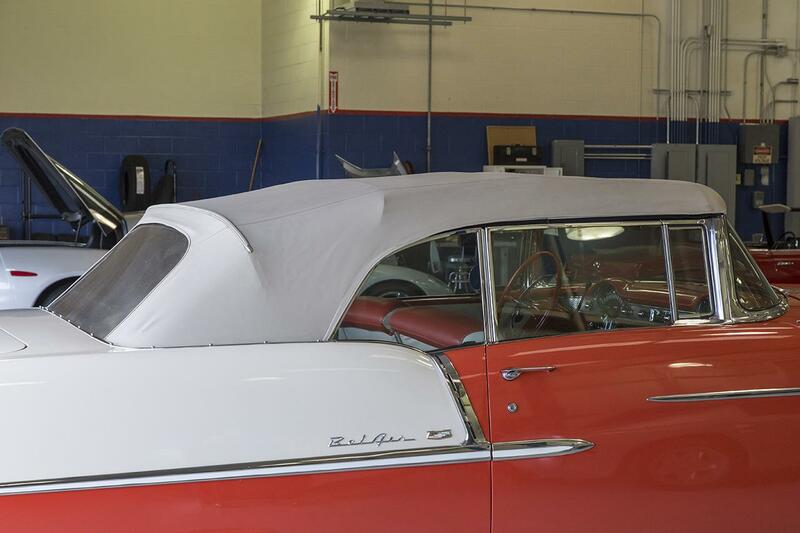 We proudly offer this restored 1955 Chevrolet Bel Air Convertible in correct Gypsy Red and Shoreline Beige with a Beige Convertible Top over a correct matching Red and Beige Vinyl interior. 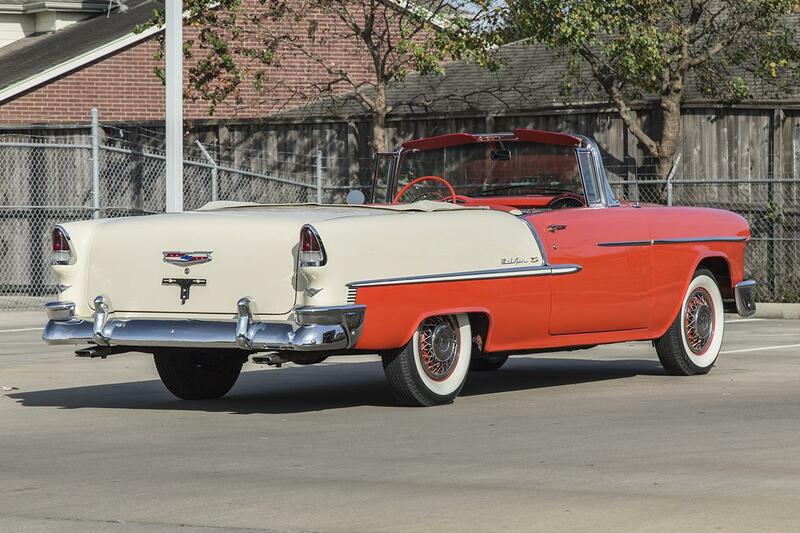 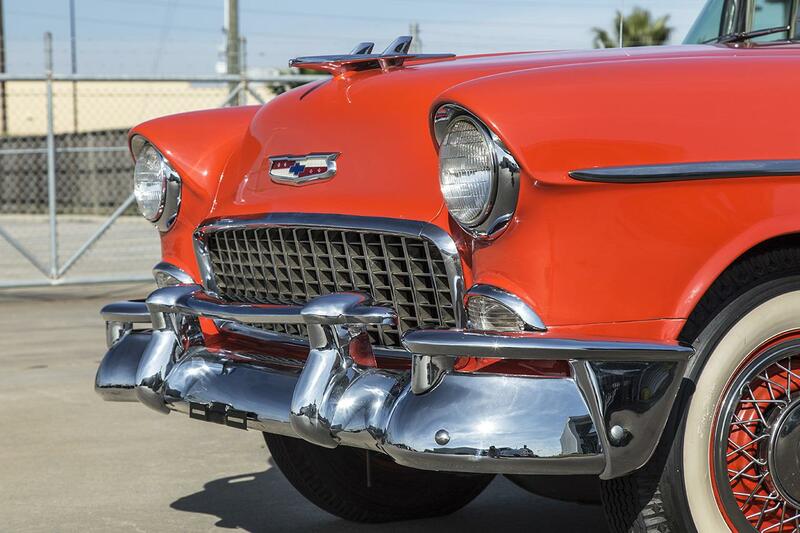 This 1955 Chevrolet Bel Air Convertible features a 180hp 265 c.i. 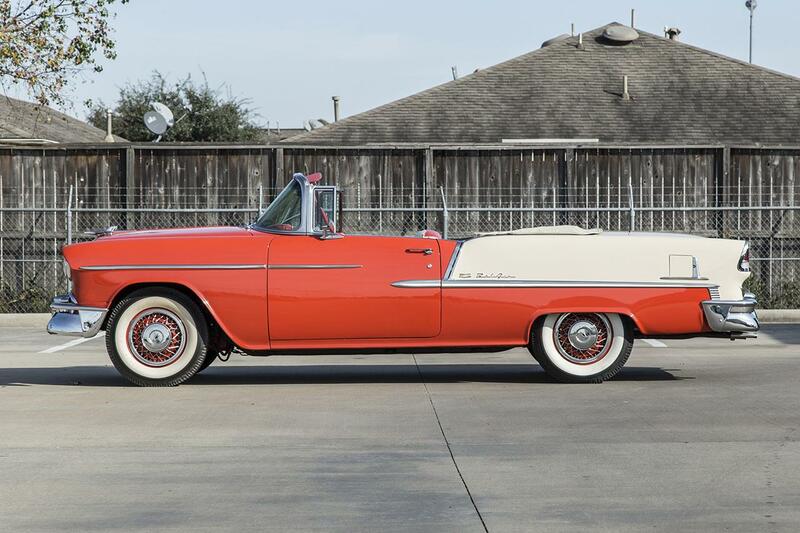 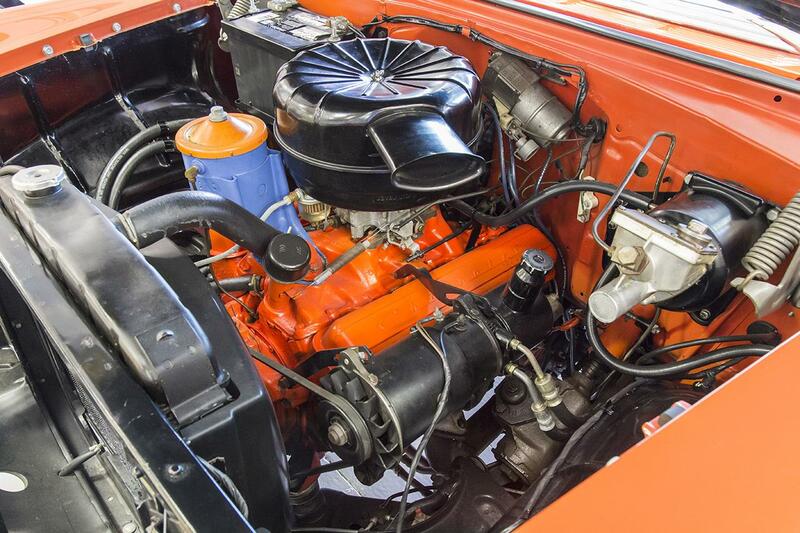 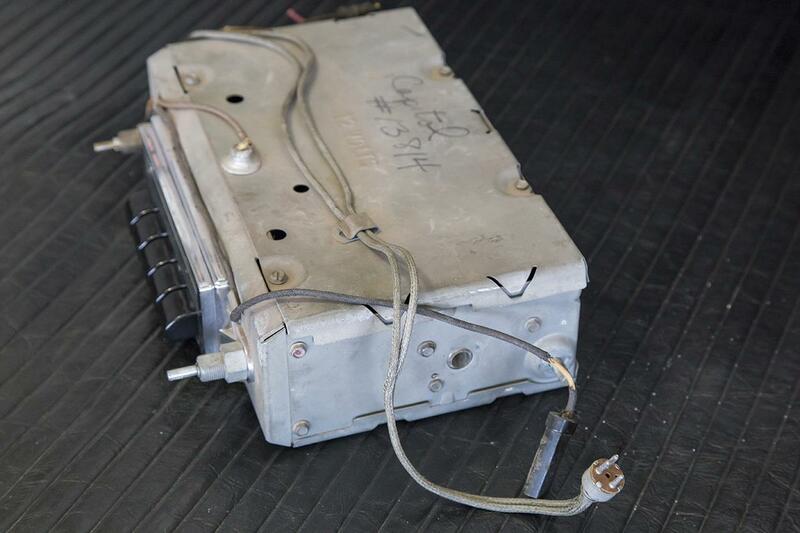 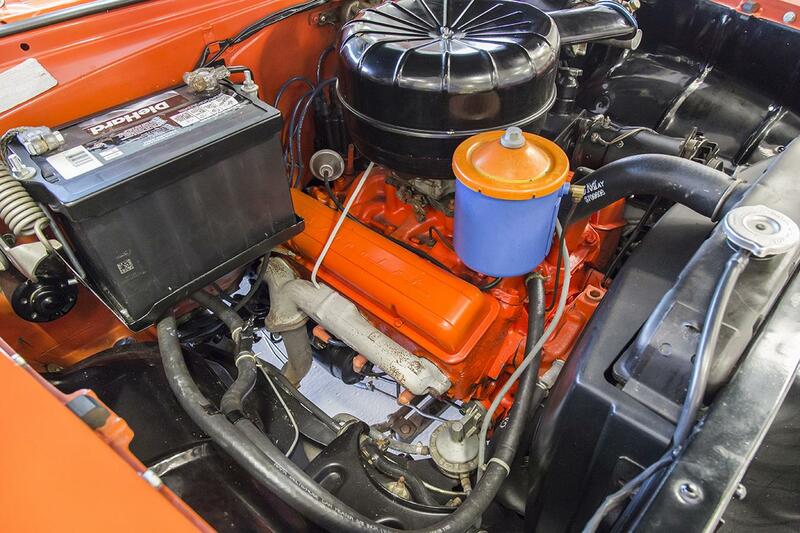 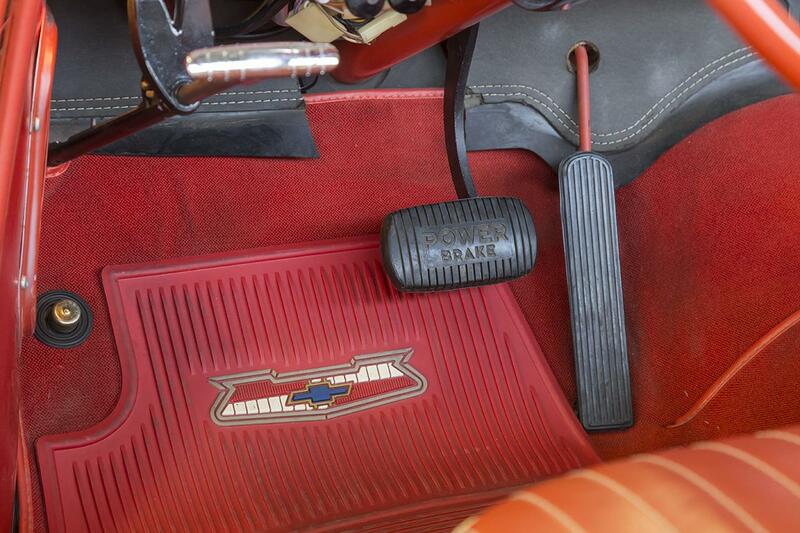 V8 engine, Powerglide 2-speed automatic transmission, power convertible top, power steering, power brakes, wire wheels, and the desirable Power Pack which adds a 4-barrel carburetor and dual exhaust. 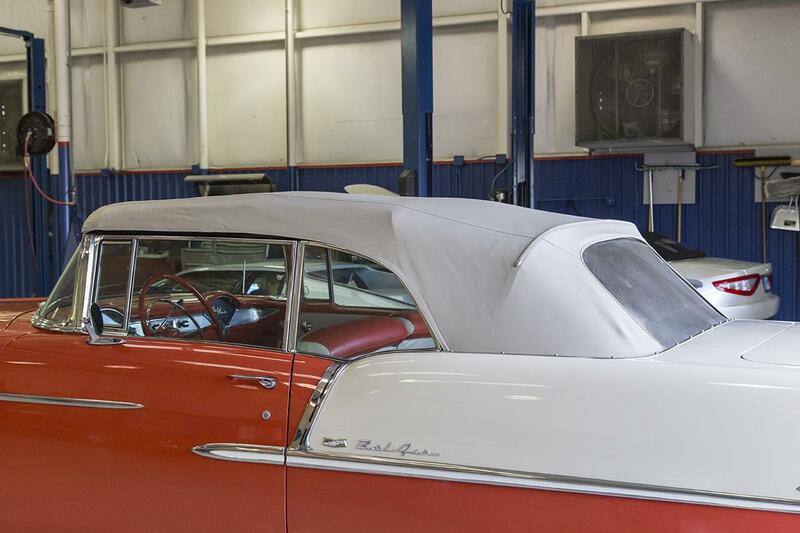 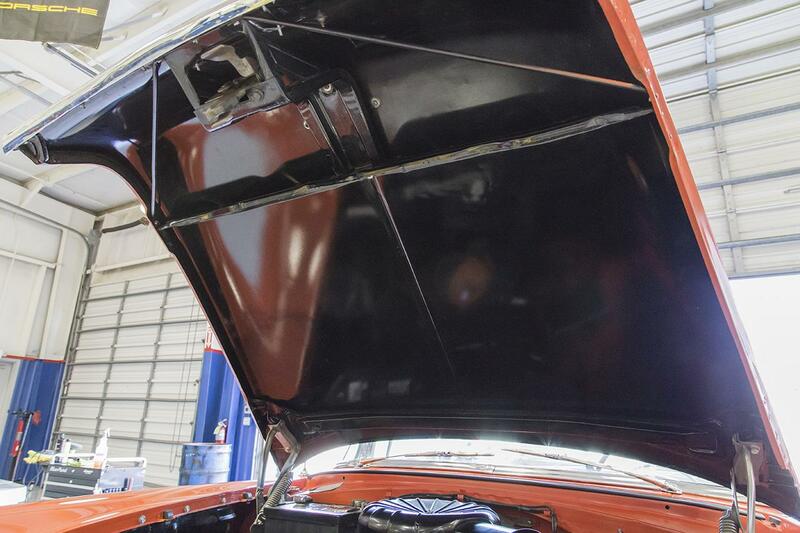 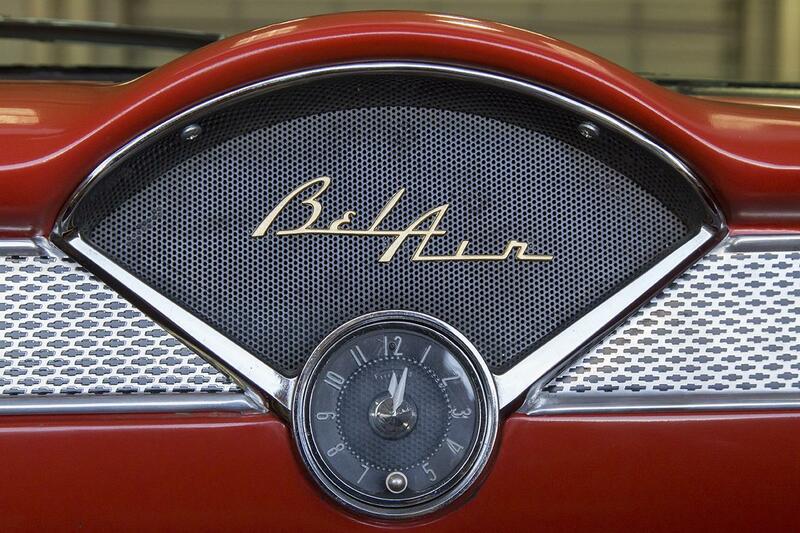 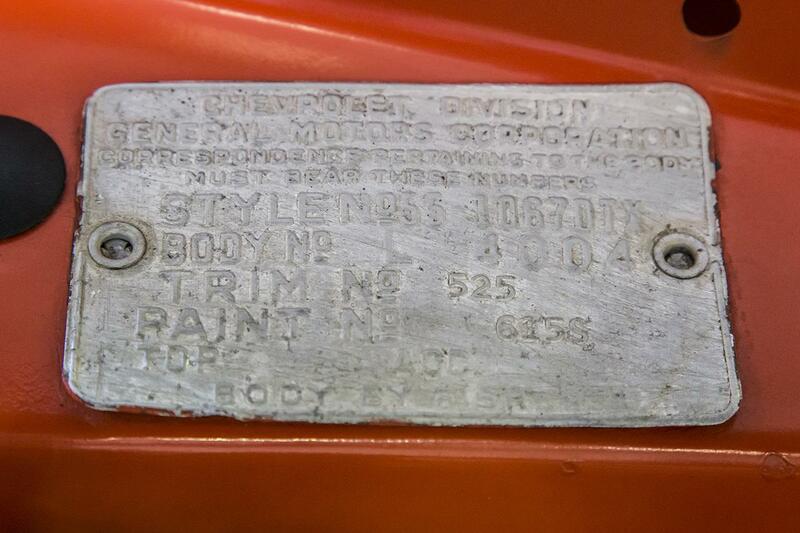 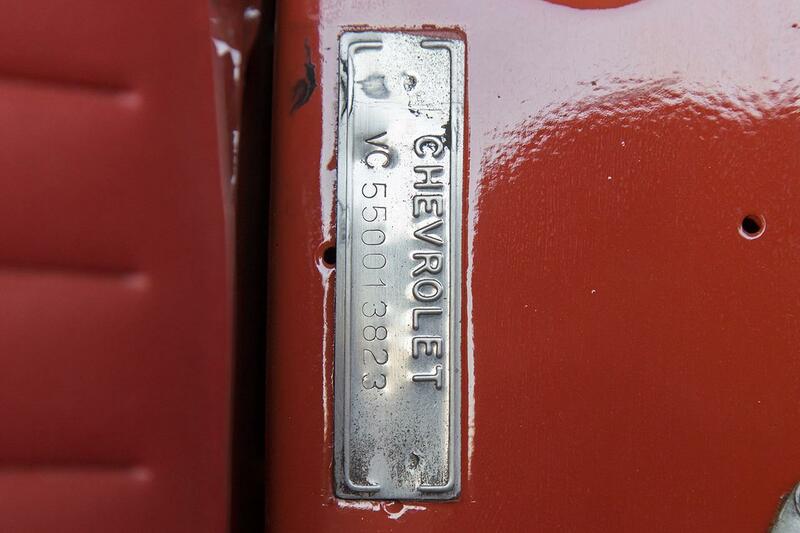 This Bel Air, previously a California car, received a frame-off restoration about 5-6 years ago. 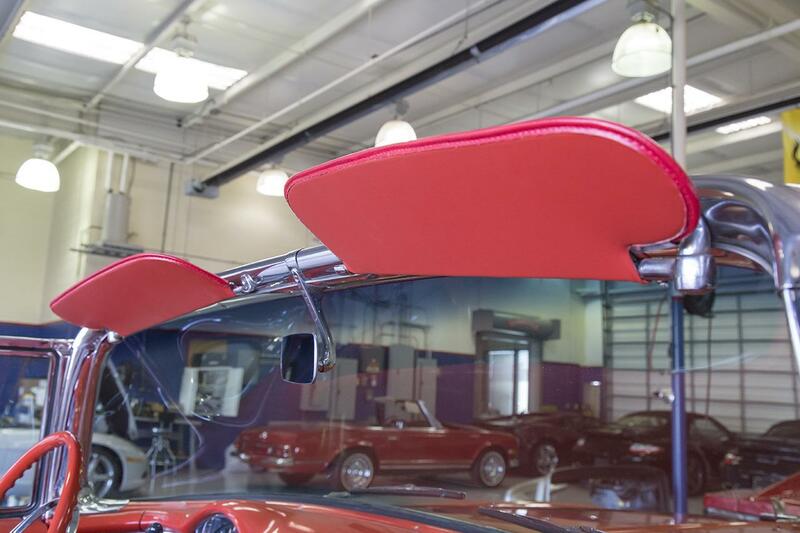 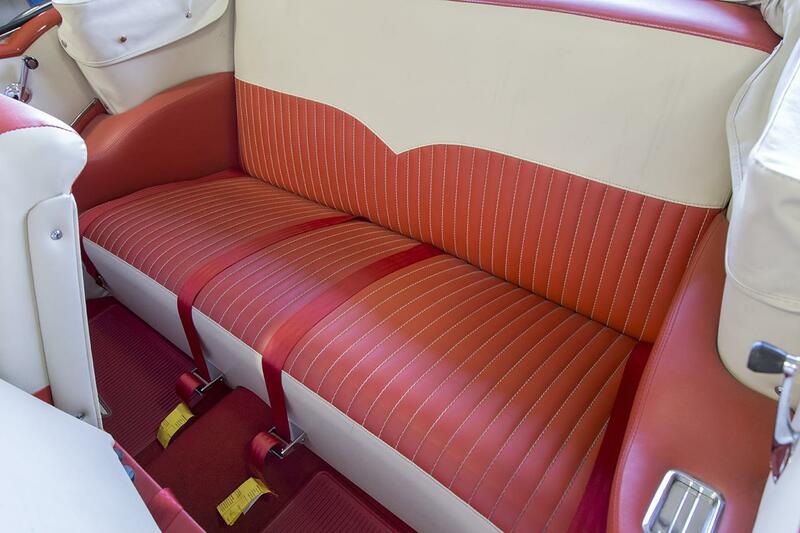 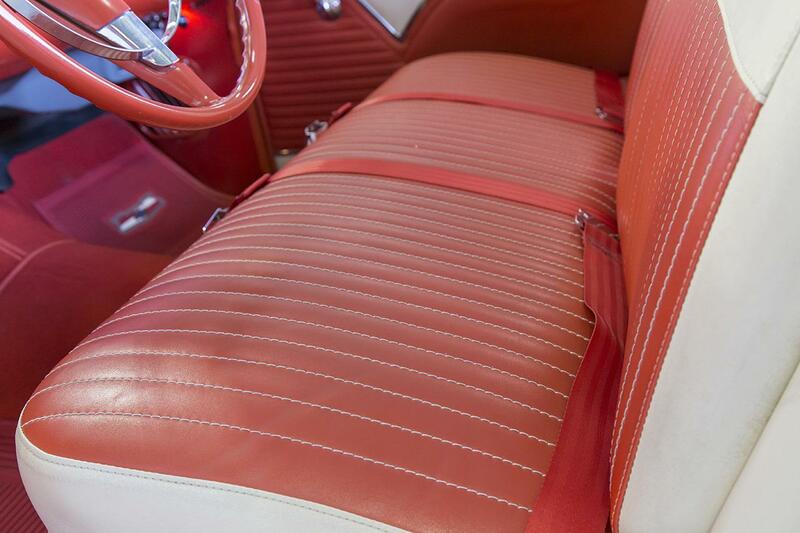 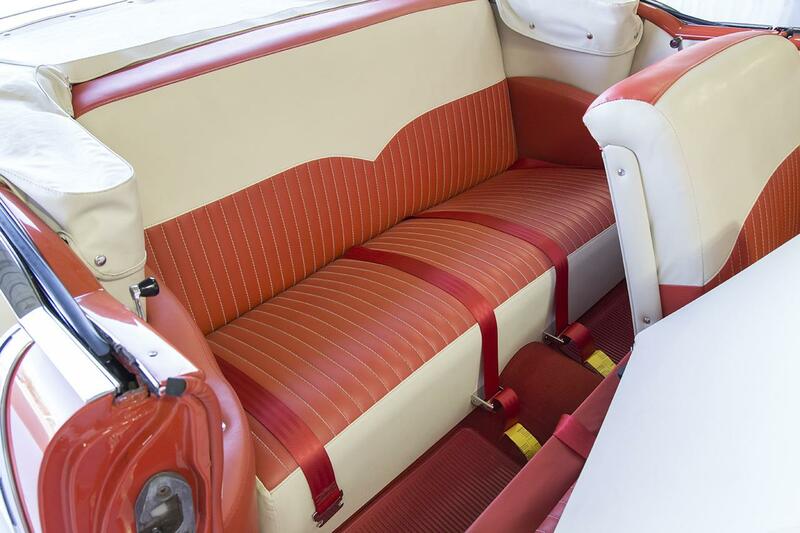 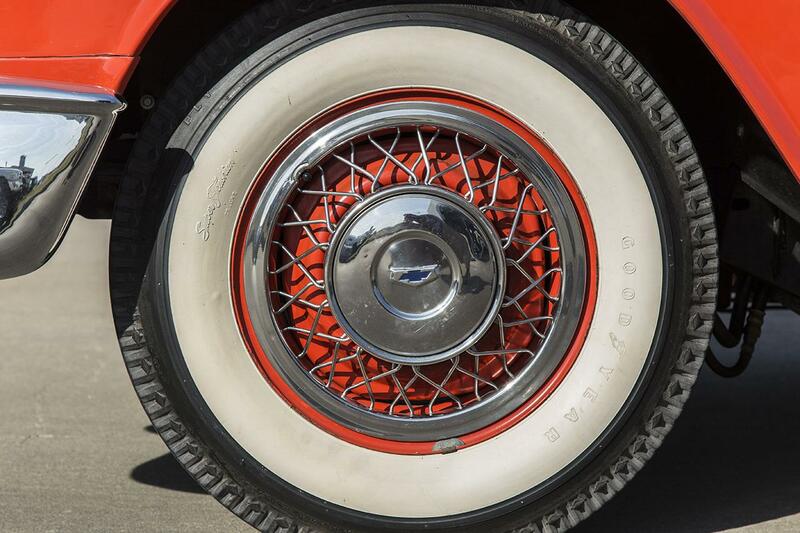 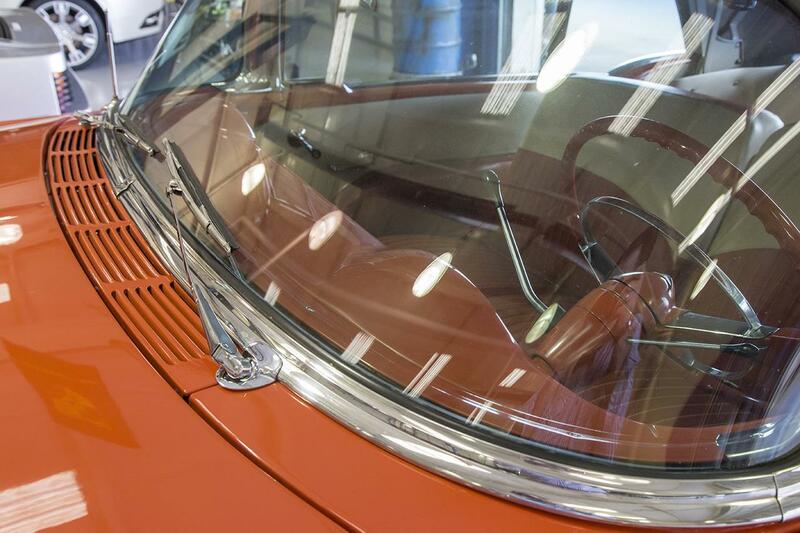 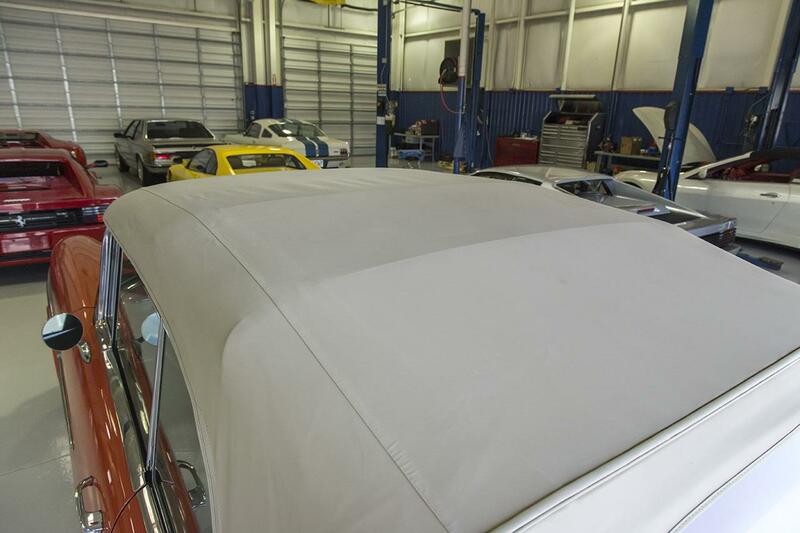 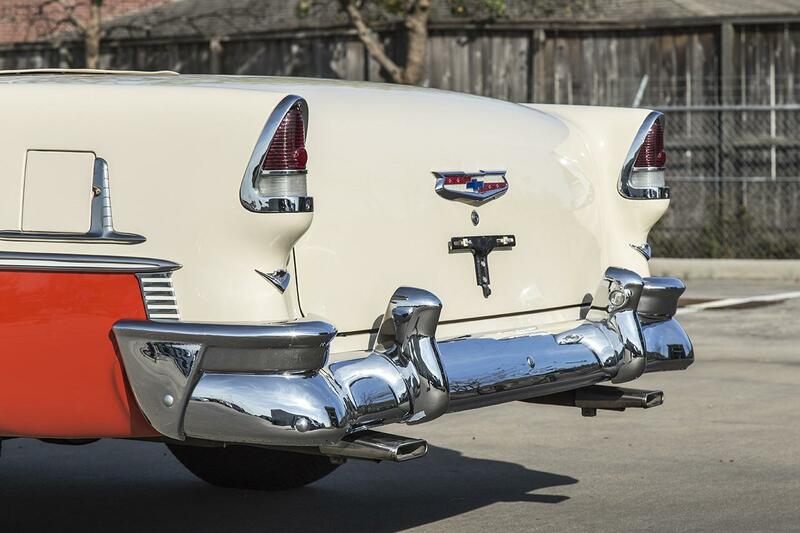 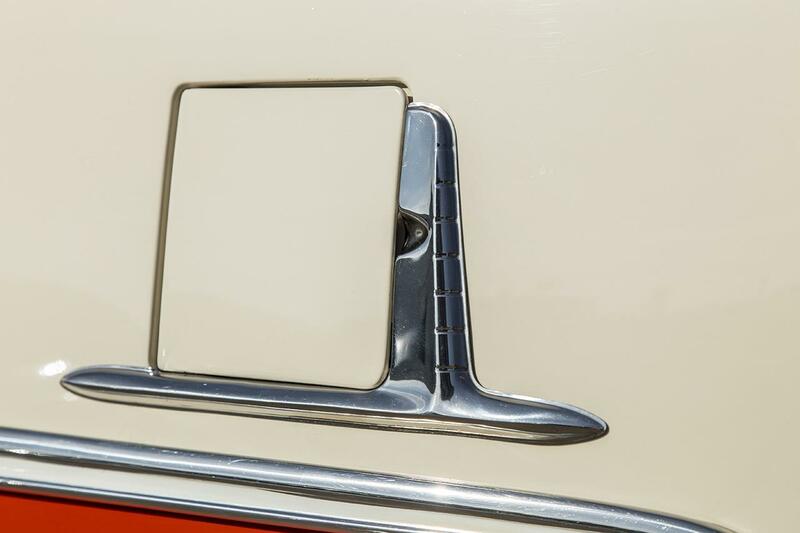 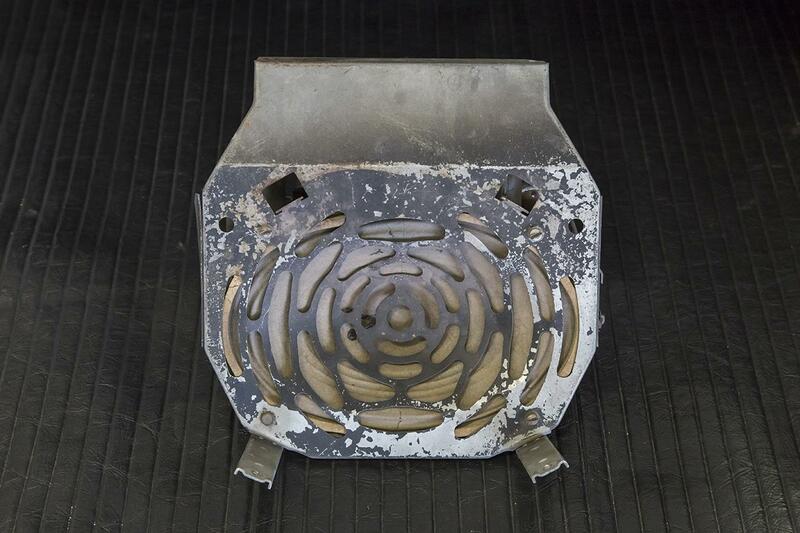 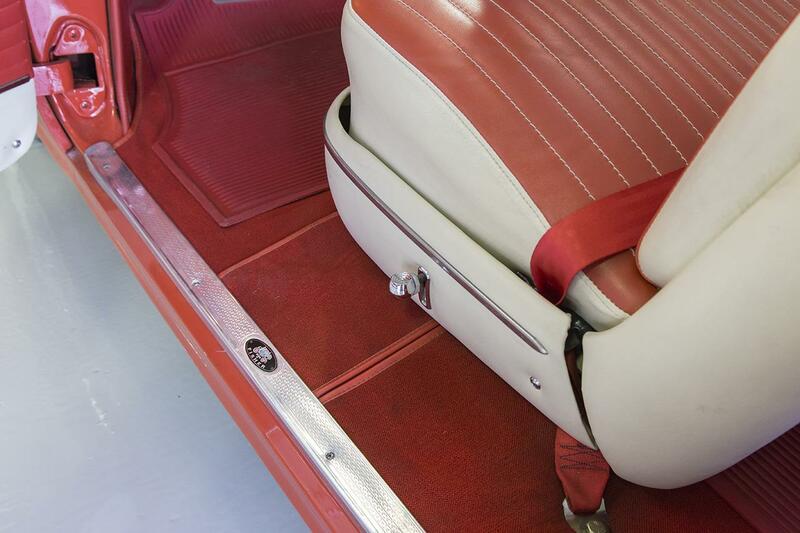 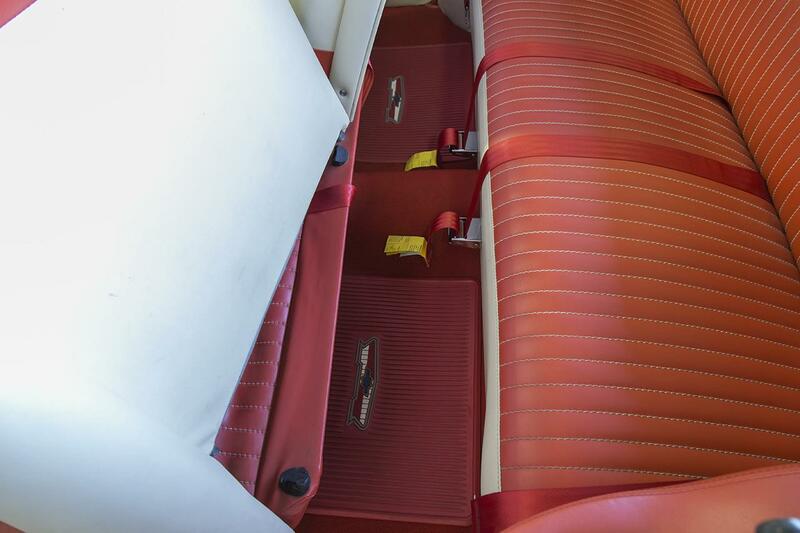 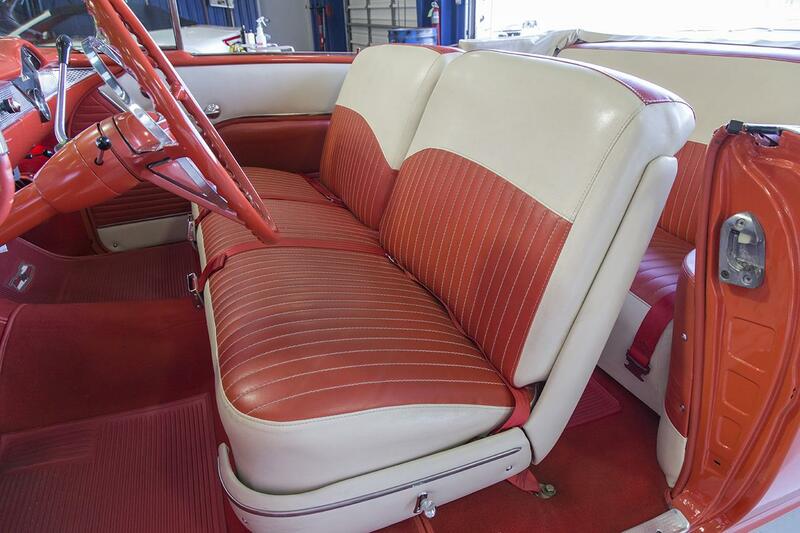 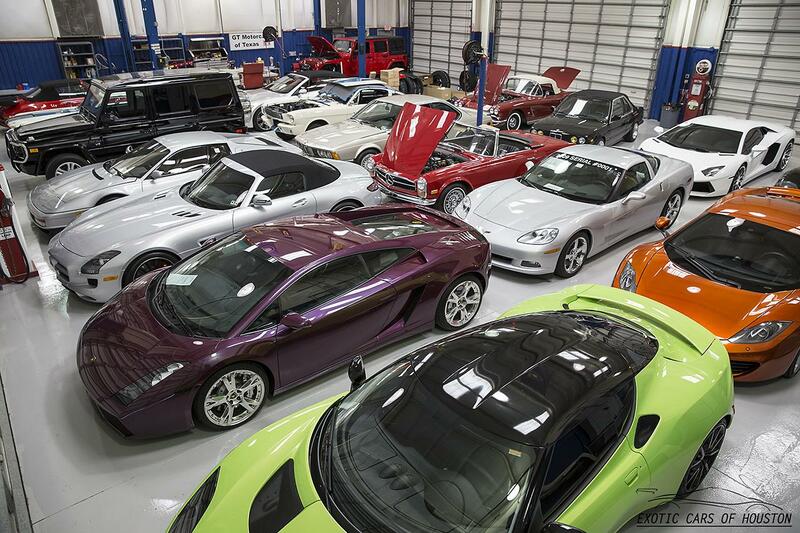 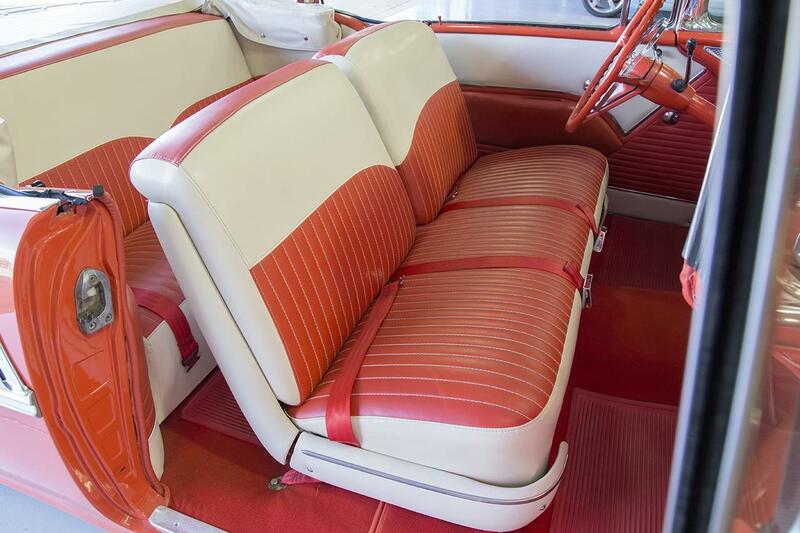 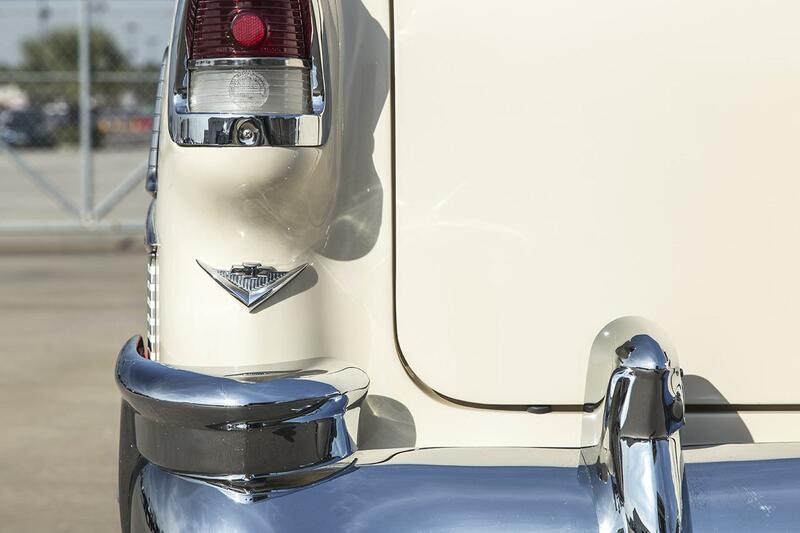 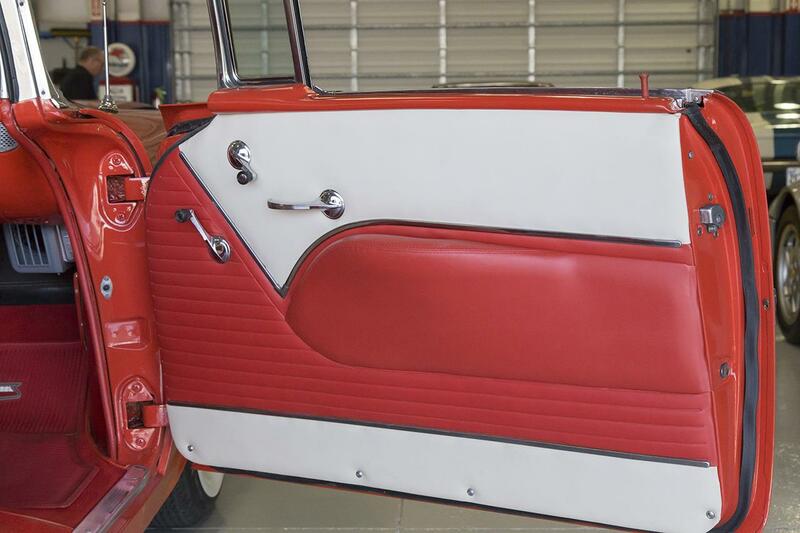 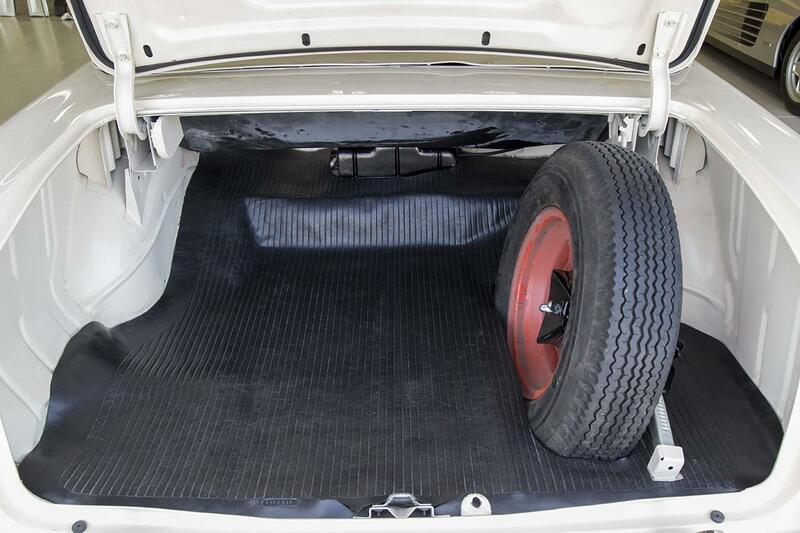 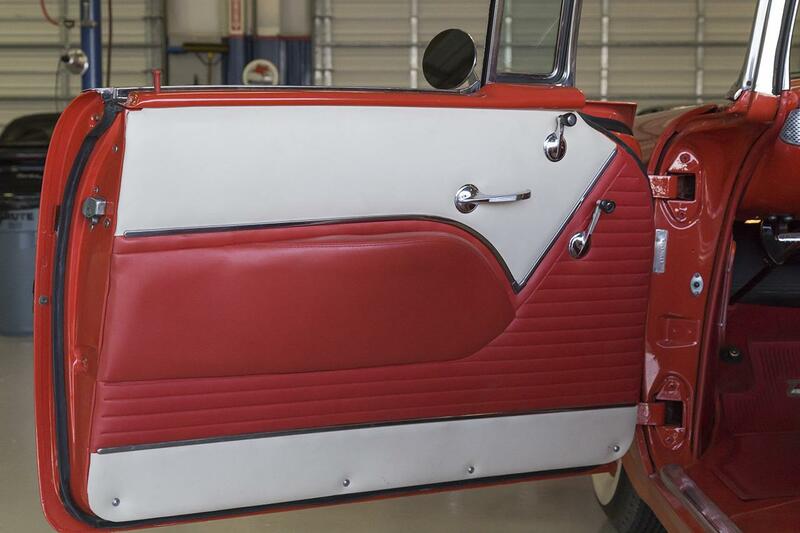 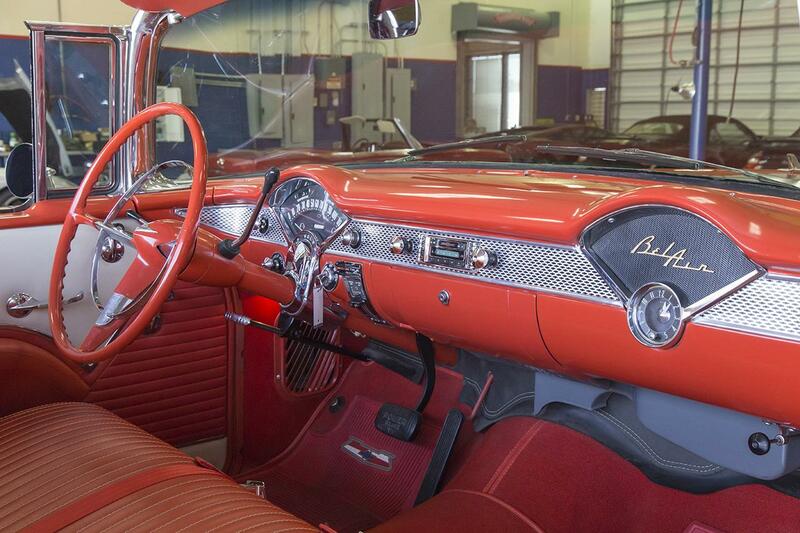 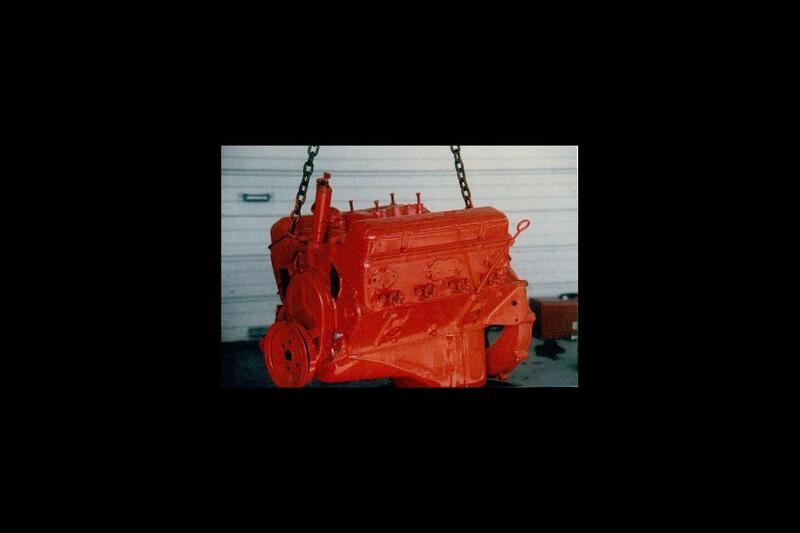 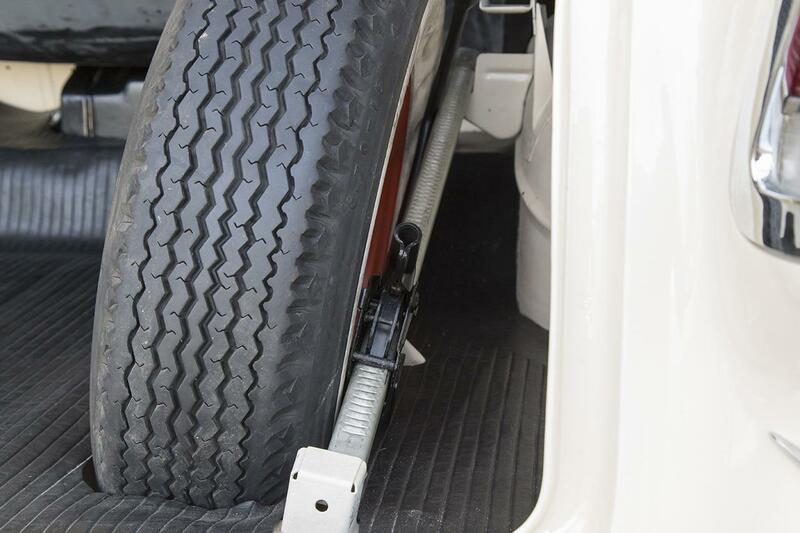 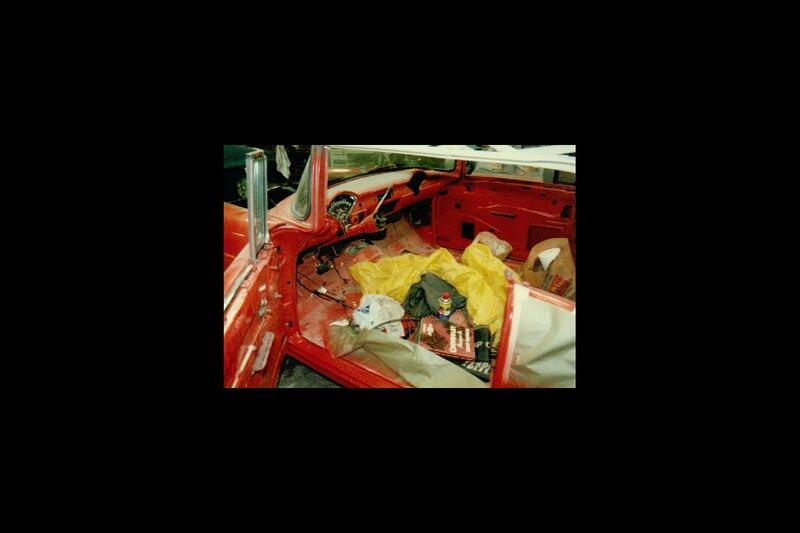 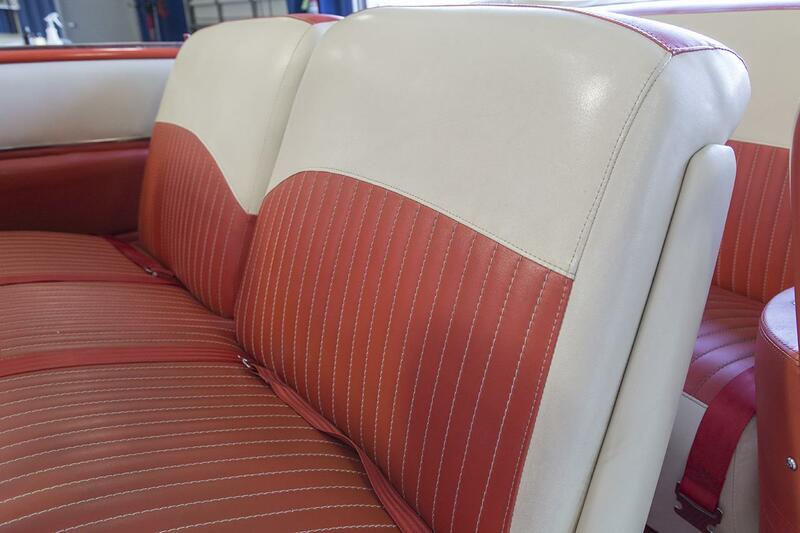 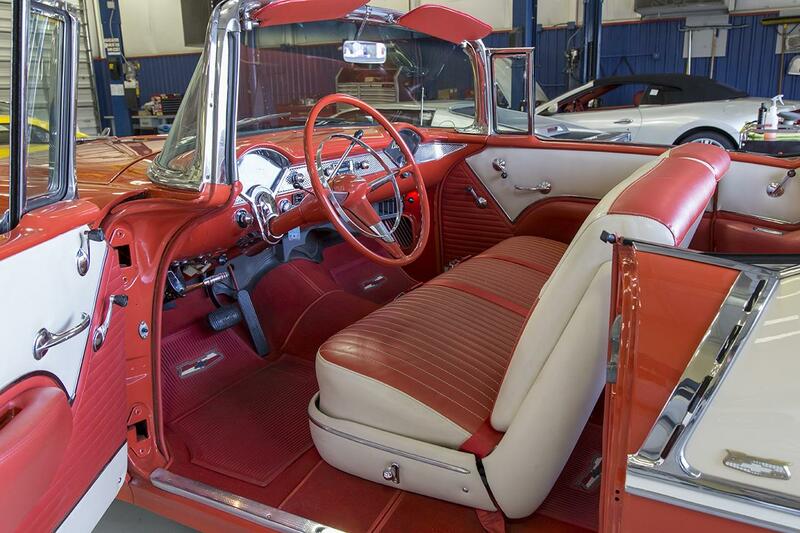 This included a completely refinished exterior in its correct, original colors according to its color plate, a new interior in correct, matching materials, colors, and stitching, and an engine and transmission rebuild. 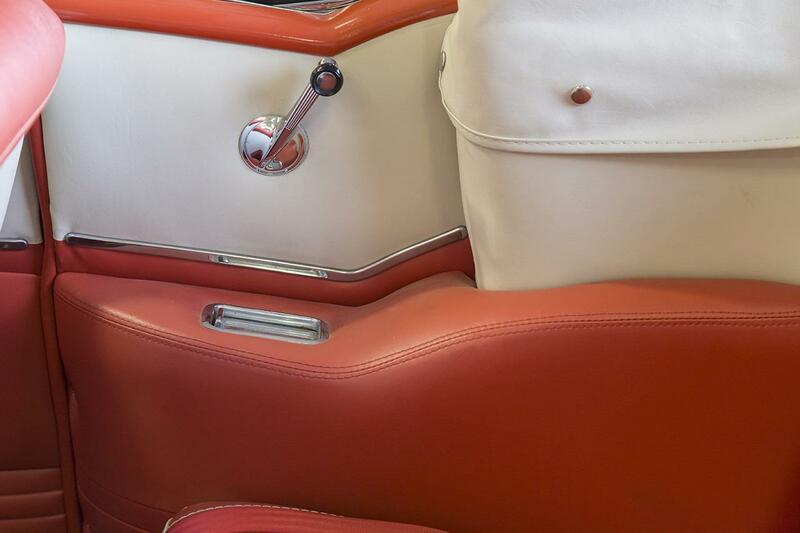 The odometer now shows 1,649 miles, which is as far as the car has travelled since the restoration to the best of our knowledge. 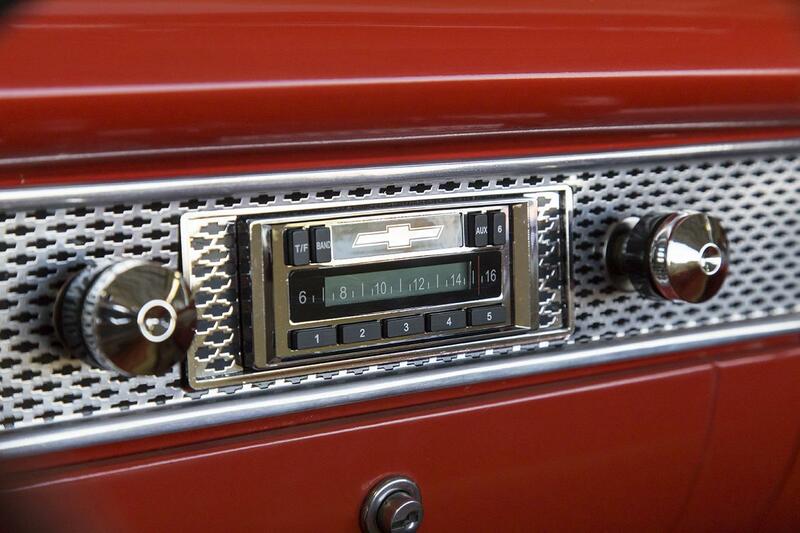 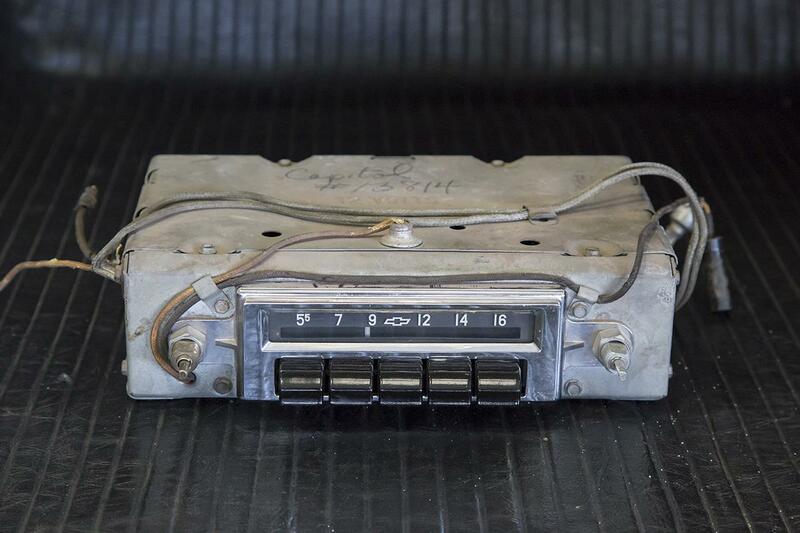 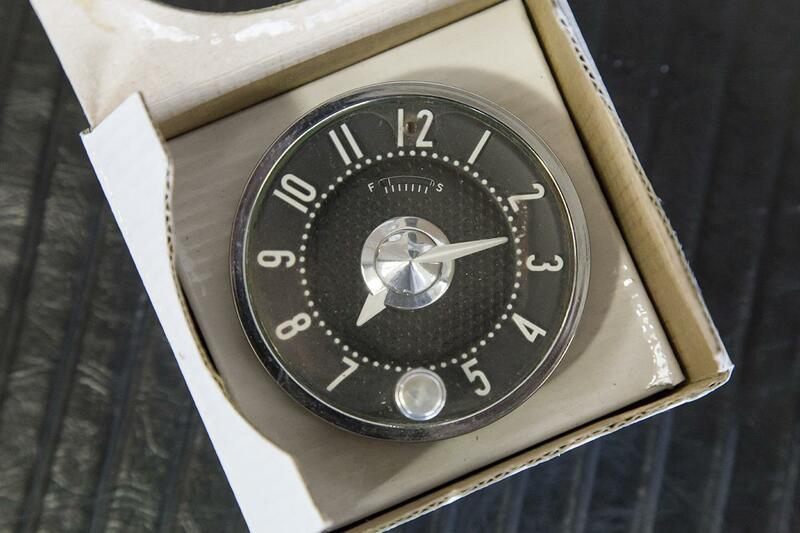 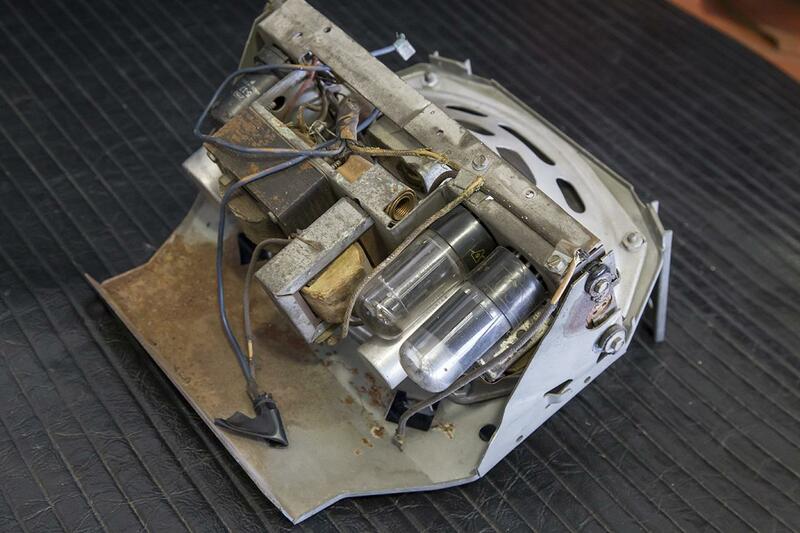 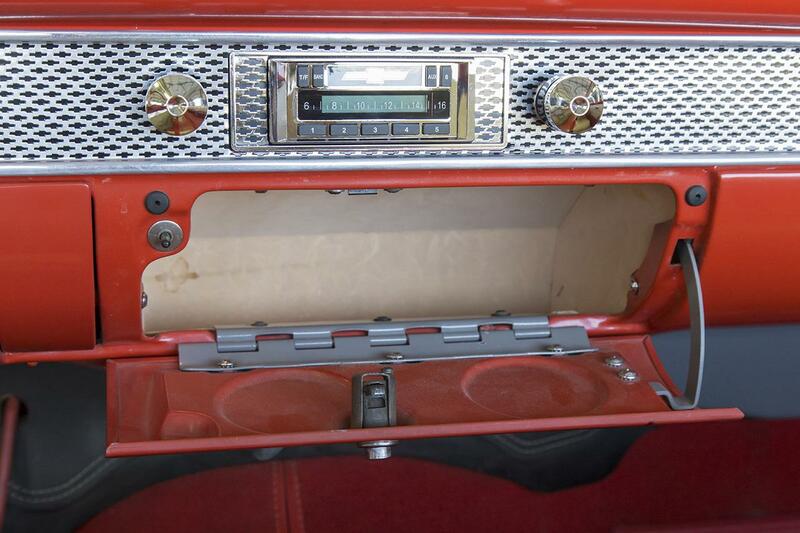 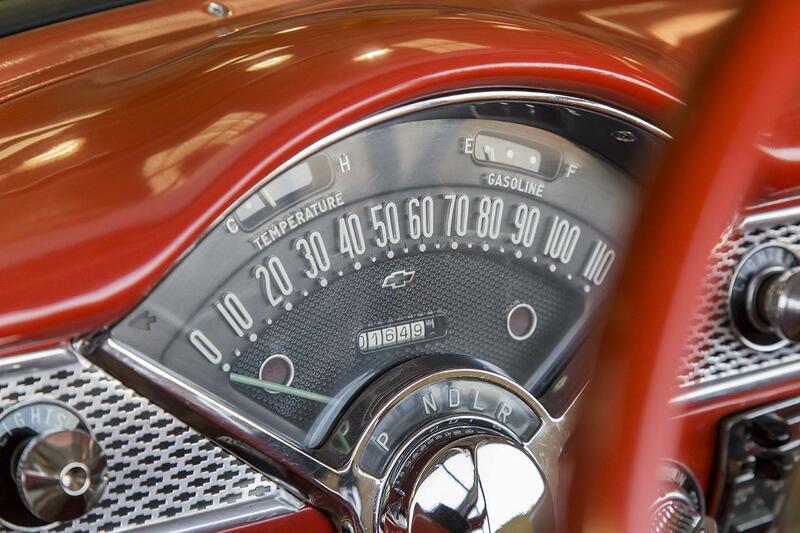 The factory radio, speaker, and the dash clock are also included. 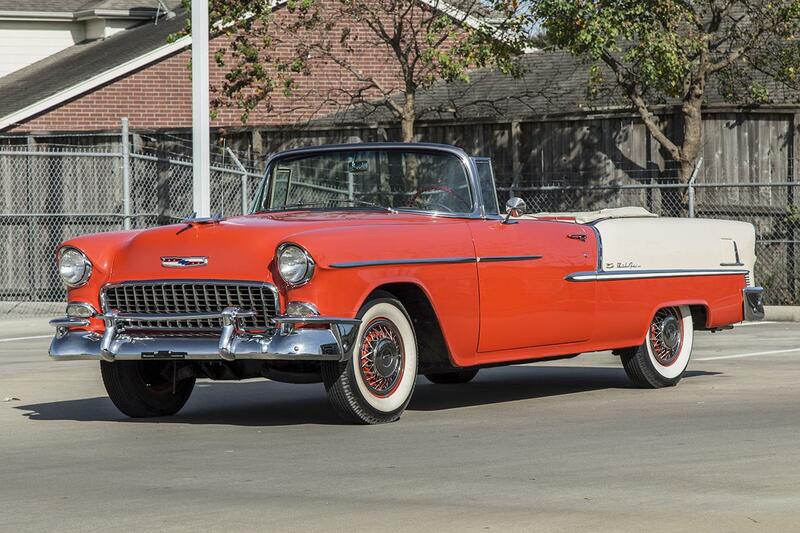 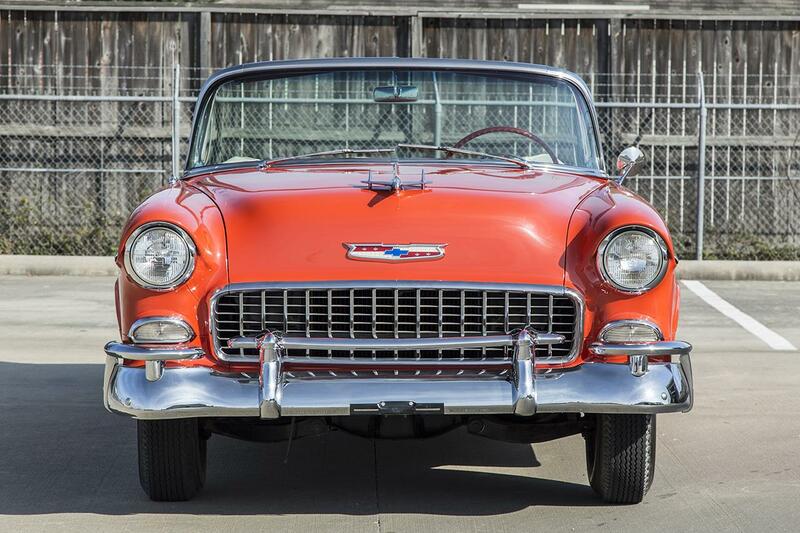 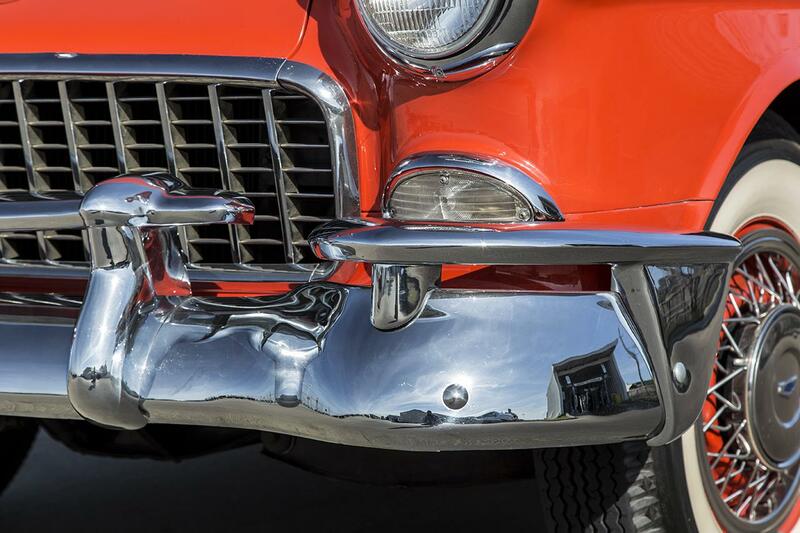 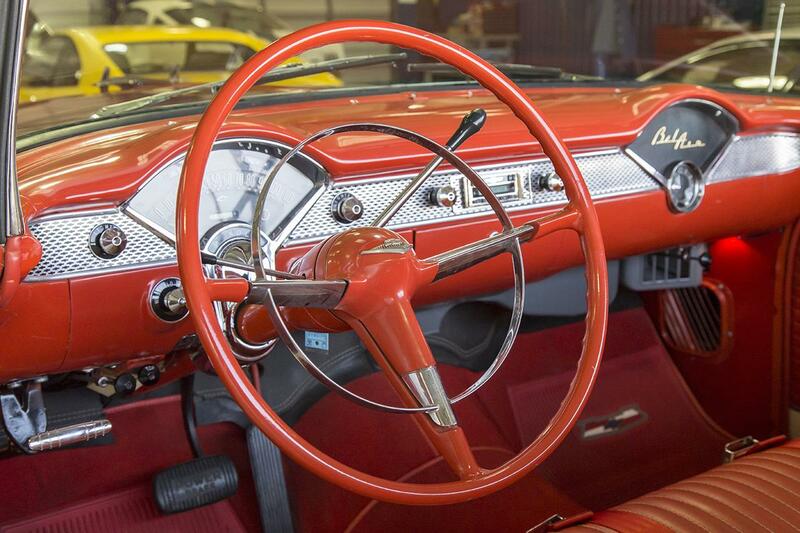 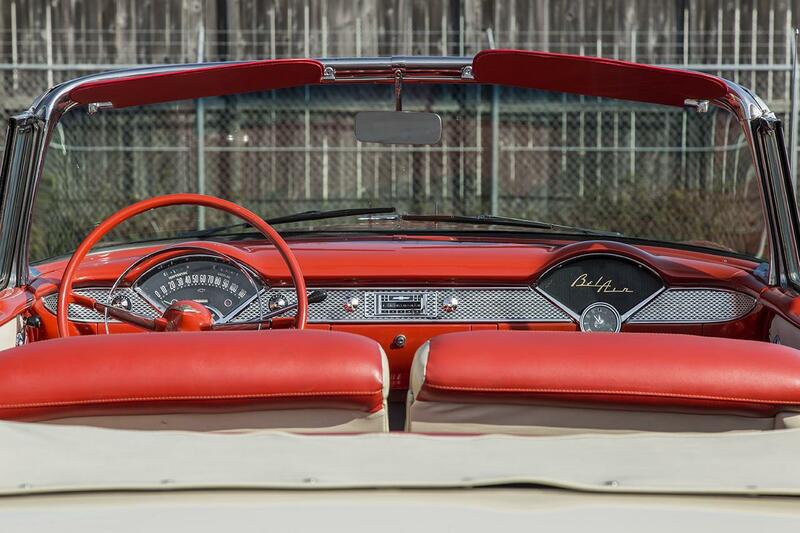 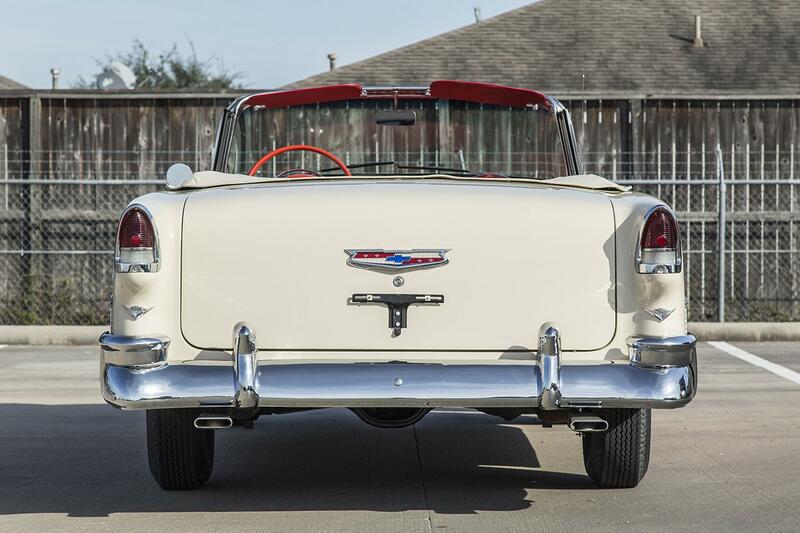 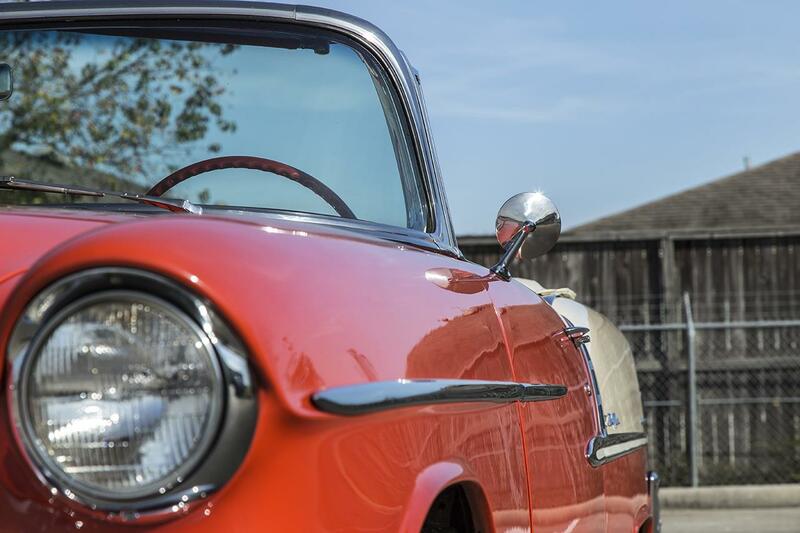 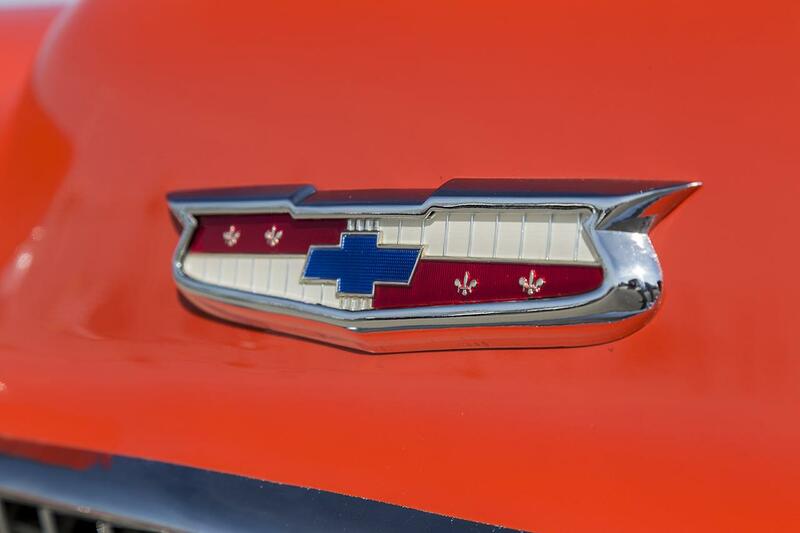 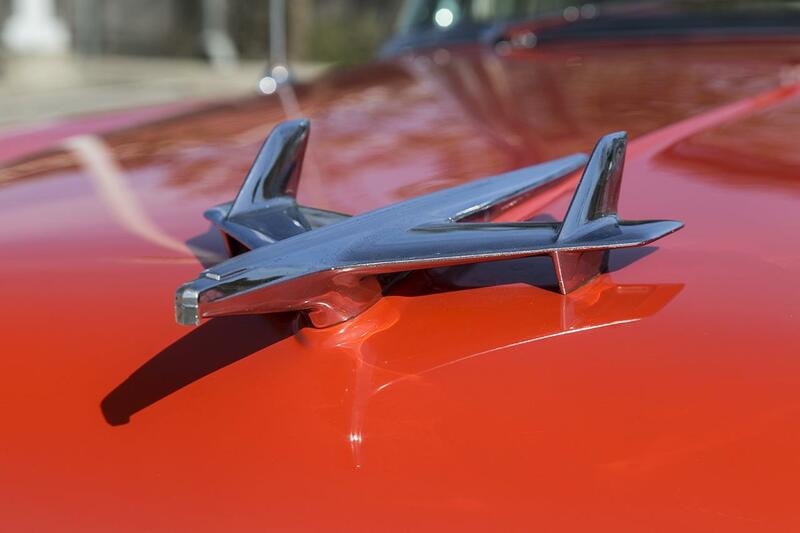 The iconic Chevrolet Bel Air Convertible is a must-have for any collection of classic American automobiles. 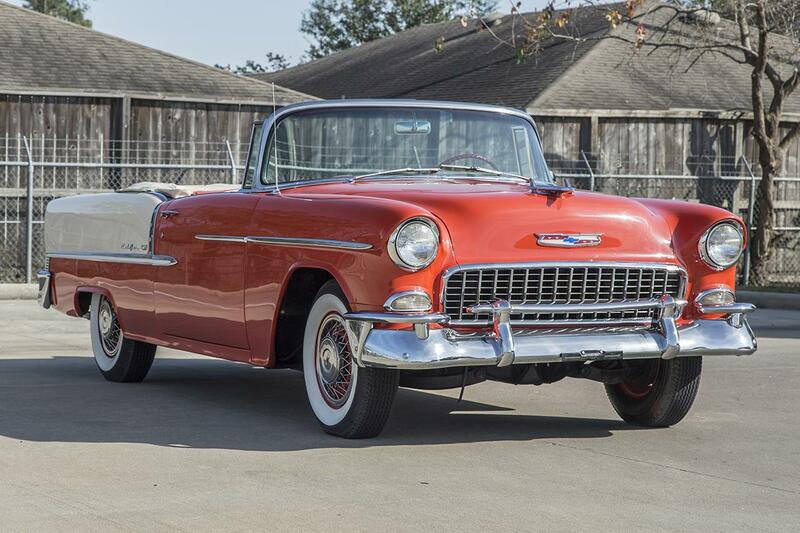 Contact us for more details on this beautiful 1955 example.